Thats a good question, even though it’s from a lizard. Usually when a visit New Orleans, I post a spooky French Quarter picture or cryptic poem. Not this time. I barely got on the plane and I’ve been somewhat lost all weekend. 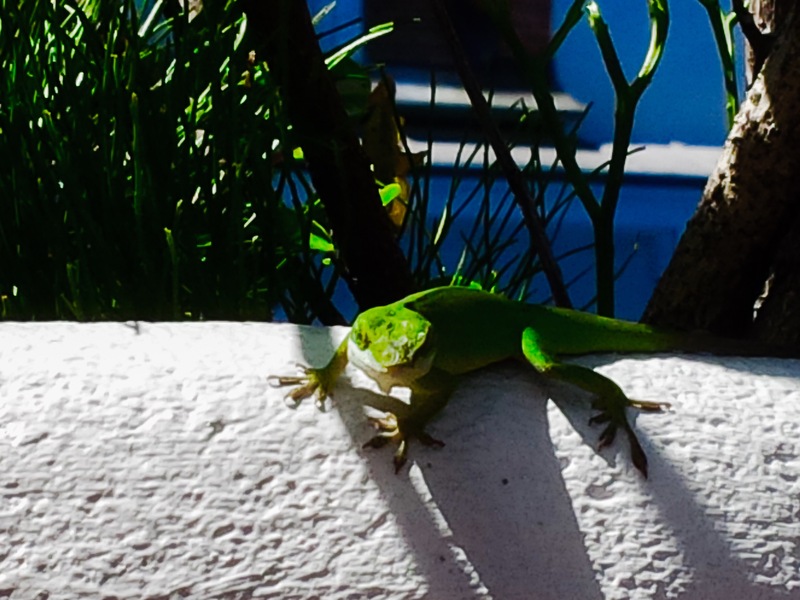 My little green friend spied me at the pool, and puffed out his neck when I tried to take his picture. The next day I opened my eyes to find him staring at me. Again. So, today he sat on the wall next to me, gazing at the pool shenanigans in the great jungle of the courtyard. My personal guard lizard.